I help people who are sad, scared and stuck. I help people who are tired of carrying around so much “stuff”. I help people who are ready to elevate their performance to the next level. I help people who are looking for a way to feel better today than they did yesterday. 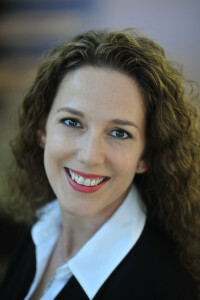 I’m Amy Ammerman, and I’ve been a licensed professional counselor for over a decade. I earned my bachelor of arts degree in child study & language development from Southwestern University in beautiful Georgetown, Texas. Go Bucs! I earned my master of science degree in counseling from the University of Houston-Clear Lake, where I was inducted into Chi Sigma Iota counselor honor society and served as a graduate assistant and research assistant to the counseling program director. I have served as a public school teacher, college counselor, director of counseling and college dean. I now devote my time to private practice so I can help my fellow Houstonians elevate their mood, relationships and daily experience to new levels of awesomeness. Click here to learn more about Amy’s approach to counseling. Subscribe to my mailing list to receive periodic cool stuff in your inbox!